LMC Charges, Fines Niger Tornadoes N1m For Crowd Trouble – Royal Times of Nigeria. 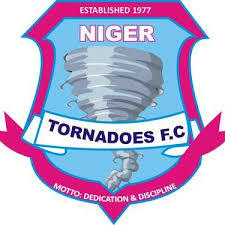 Nigeria Professional Football League club, Niger Tornadoes has been charged and fined one million naira by the League Management Company for the unruly behaviour of their fans in their Matchday-5 encounter with Bendel Insurance. According to tweets from the official Twitter handle of the LMC, fans of the Minna based club, threw objects including water sachets onto the pitch and the technical area during their goalless draw against Bendel Insurance. The LMC also gave a suspended order for Tornadoes to play its subsequent home matches behind closed door. 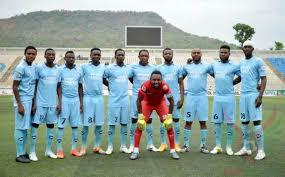 Niger Tornadoes have 48 hours to appeal the sanctions or elect to be dealt by a commission. The Minna club are rock bottom in Group A of the 2018 NPFL and are yet to record a win in the NPFL this season, with three defeats and three draws. Tornadoes will host Sunshine Stars at the Bako Kontagora Stadium, Minna in their next league game.